Dulse, also known as Palmaria palmata, is red seaweed that grows attached to rocks. It's not only rich in health benefits. This salty sea vegetable is eaten fresh and dried in foods including soups, chowders and fish dishes. Dried, dulse is used as seasoning. Dulse is packed with valuable minerals, including iron and potassium. A 3.5-ounce serving of fresh dulse seaweed provides approximately 33 milligrams of iron and 1,720 milligrams of potassium, which is more than 100 percent of the daily values set by the Food and Drug Administration based on a 2,000-calorie-a-day diet. Iron helps red blood cells and muscle cells carry oxygen throughout your body and is needed for proper chemical reactions. Potassium plays an important role in balancing body fluids, helps your heart maintain a steady beat and is needed for proper muscle contraction. Polyunsaturated fatty acids help regulate many of your body's functions, such as blood clotting and blood pressure, and aid in proper development and functioning of your brain and nervous system. They also play an important role in regulating inflammation. A September 2022 article by Sinead Lordan et al., published in "Marine Drugs" noted that because red and brown algae are particularly rich in omega-3 and omega-6 fatty acids, they may be an effective addition as part of a balanced diet. Vitamin B-12 is found mostly in animal foods -- such as meat, poultry, milk, fish and eggs -- so eating dulse is an excellent way for vegans or people who don't eat animal foods to get sufficient vitamin B-12. A 3.5-ounce portion of fresh dulse contains 6.6 micrograms of vitamin B-12, which is more than 100 percent of the daily value set by the FDA. A study led by Daniel Phaneuf and published in "Environmental Research" in February 1999 noted that algae is a good source of dietary fiber and vitamins, especially vitamin B-12. Proteins not only help create new cells, but also play a vital role in the repair and maintenance of your body. A 3.5 -ounce serving of fresh dulse provides 21.5 grams of protein, which is 43 percent of the daily value set by the FDA. 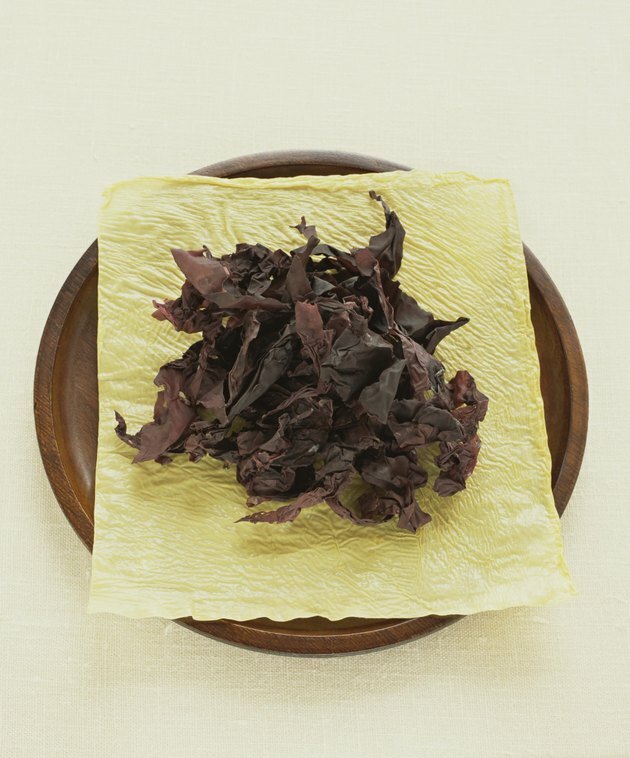 An article published in "The Journal of Nutritional Biochemistry" in June 1999 noted that dulse may be a potential protein source in the human diet.